When I told Tom I wanted to try making caramels his first response was typical of many non cooks. I couldn’t answer his question. 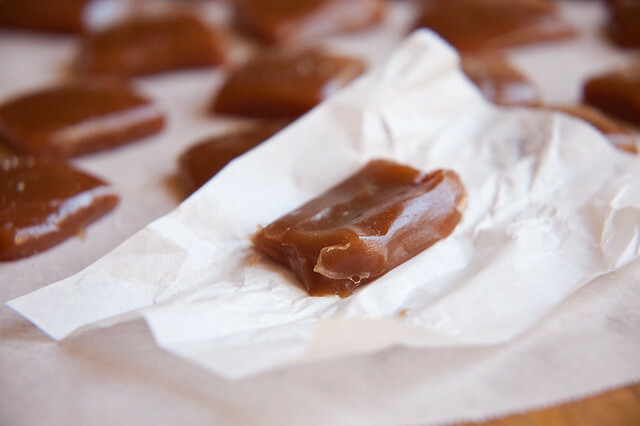 Why did I want to make caramels when I could buy them from the store? Working with sugar is supposed to be hard. You need a thermometer, kids far from the kitchen, no distractions. Yet, I love caramels, not those from the grocery store Halloween caramels. The only caramels worth eating are the ones I get from specialty chocolate shops, and we are not talking See’s Candy here. These handmade caramels, made with a chocolatier’s love take me over the moon. The are soft and creamy instead of hard. They melt in your mouth without a single bit of graininess. Yes, these were the caramels I was after. If I could make them myself and not pay an arm and a leg then all the dangers of cooking sugar would be worth it. What did I find out? 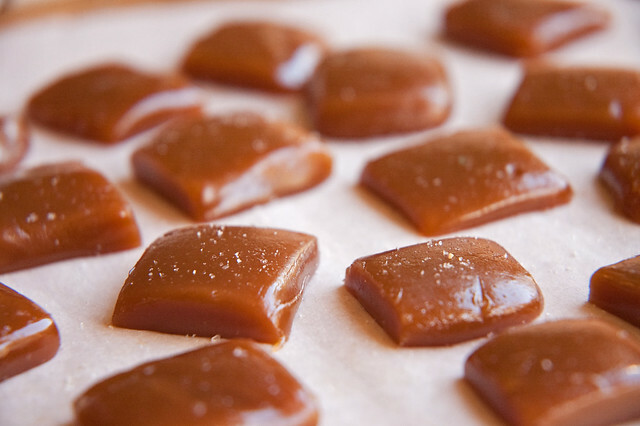 Making caramels is easy. I mean really really easy. So easy I may never buy caramels from a chocolate shop again. Well, not really. My caramels came out just like a chocolate shop’s caramels. Creamy and smooth, melt in your mouth. Unlike any store-bought caramel I have tasted. As the caramel set we happily licked the pot and spoon burning our tongues on the hot sugar, but no one cared. Many thanks to Julie from My Cooking Adventure and Bree from Baked Bree for their wonderful recipes and caramel expertise. Follow their guidelines and you can’t go wrong. I watched Ina Garten make these on tv last week & told my hubby, “Oh! That looks super easy!!”. The craziest part was when she poured in the cream and it all bubbled up to the top of the pot, but everything else looked easy-peasy. I’m tempted to make them too. Hi: I am so glad to have discovered shoots and roots! I wonder: have you compared Julie and Brees caramel rcipes? 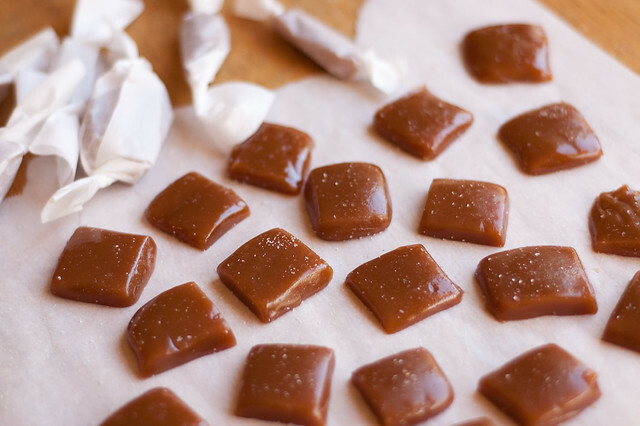 I would really like to try caramels for the rist time, and hope you can provide me guidance on which, if they are different, I might have more success with. Thanks! Thank you Joanna! I have not compared the two but I will now! You should try David Lebovitz as well. His dry caramel instructions are very helpful. I would also use David’s recipe for caramel sauce. Out of the ones I have tried his is the best. Alice Waters caramel sauce from Art of Simple Food is also a great recipe to use.